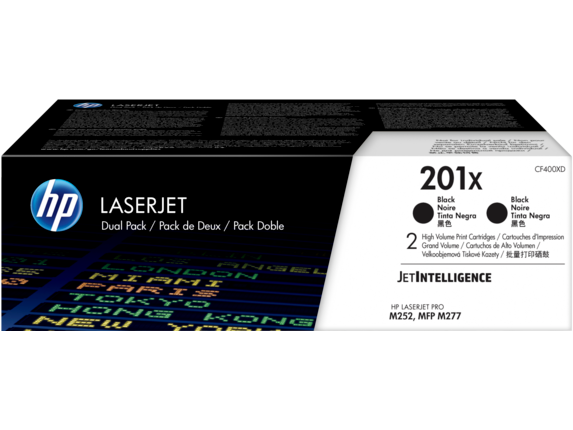 Count on Original HP Toner cartridges with JetIntelligence for professional quality, more pages with affordable high-yield options, excellent performance at high speeds, and innovative anti-fraud technology—something the competition can’t match. 1 HP 201X high-yield cartridges are not included in printer purchase; purchase separately. For more information, see http://www.hp.com/go/learnaboutsupplies. 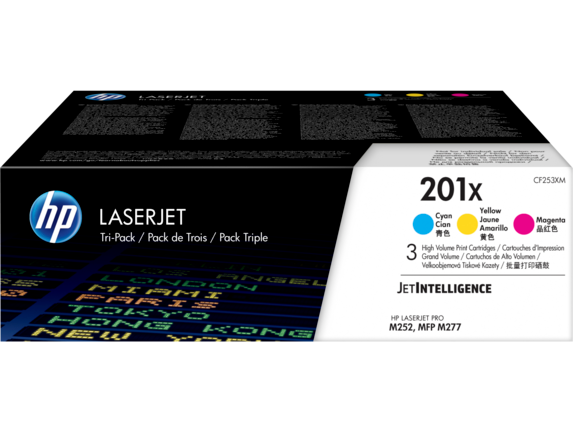 2 Based on cartridge yields for HP 131A compared with HP 201X Original HP Toner Cartridges. For more information, see http://www.hp.com/go/learnaboutsupplies. 3 As compared with cartridge gauges for predecessor products. 4 Approximate average yield based on ISO/IEC 19798. Actual yield varies considerably based on content of printed pages and other factors. For details see http://www.hp.com/go/learnaboutsupplies. 1 HP 201X high-yield cartridges are not included in printer purchase; purchase separately. For more information, see http://www.hp.com/go/learnaboutsupplies. 2 Based on cartridge yields for HP 131A compared with HP 201X Original HP Toner Cartridges. For more information, see http://www.hp.com/go/learnaboutsupplies. 3 As compared with cartridge gauges for predecessor products. 4 Approximate average composite cyan, yellow, magenta yield based on ISO/IEC 19798. Actual yield varies considerably based on content of printed pages and other factors. For details see http://www.hp.com/go/learnaboutsupplies. 1 HP 201X high-yield cartridges are not included in printer purchase; purchase separately. For more information, see http://www.hp.com/go/learnaboutsupplies. 2 Based on cartridge yields for HP 131A compared with HP 201X Original HP Toner Cartridges. For more information, see http://www.hp.com/go/learnaboutsupplies. 3 As compared with cartridge gauges for predecessor products. 4 Approximate average yield based on ISO/IEC 19798. Actual yield varies considerably based on content of printed pages and other factors. For details see http://www.hp.com/go/learnaboutsupplies. 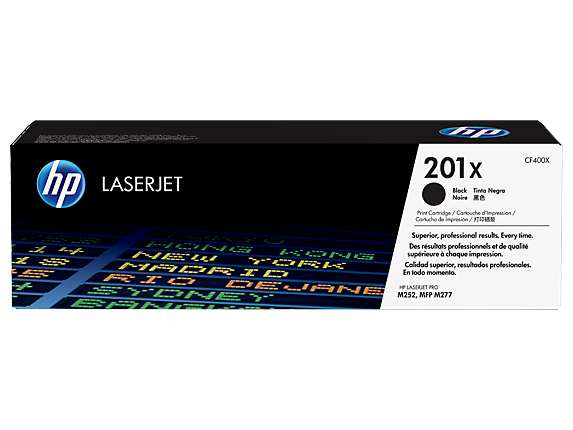 5 Based on cartridge yields for HP 201A compared with HP 201X Original HP toner cartridges. For more information, see http://www.hp.com/go/learnaboutsupplies. 1 HP 201X high-yield cartridges are not included in printer purchase; purchase separately. For more information, see http://www.hp.com/go/learnaboutsupplies. 2 Based on cartridge yields for HP 131A compared with HP 201X Original HP Toner Cartridges. For more information, see http://www.hp.com/go/learnaboutsupplies. 3 As compared with cartridge gauges for predecessor products. 4 Approximate average composite cyan, yellow, magenta yield based on ISO/IEC 19798. Actual yield varies considerably based on content of printed pages and other factors. For details see http://www.hp.com/go/learnaboutsupplies. 5 Based on cartridge yields for HP 201A compared with HP 201X Original HP toner cartridges. For more information, see http://www.hp.com/go/learnaboutsupplies.